The second round of the Bayleys Coral Coast 7s Women’s division is underway after the Sunnybank team won their second match after defeating Raiders 24-10,today. The Queensland based team defeated Sydney Fiji Ranadi 38-0 in their first match, yesterday. Mana Graphix Striders team also continues to extend their lead after defeating Highlanders 12-7 in their second match, today. 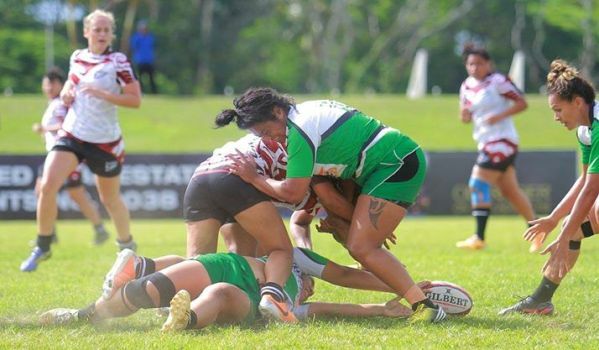 The side defeated Pacific Striders 28-0 in their first match, yesterday. The Redlands team won by default against Lautoka after New Caledonia defeated Papua New Guinea 34-7. The day two of the Coral Coast 7s continues at the Lawaqa Park in Sigatoka. Remember you can watch the tournament live on FBC TV from 6.30pm tonight and from 8am tomorrow.